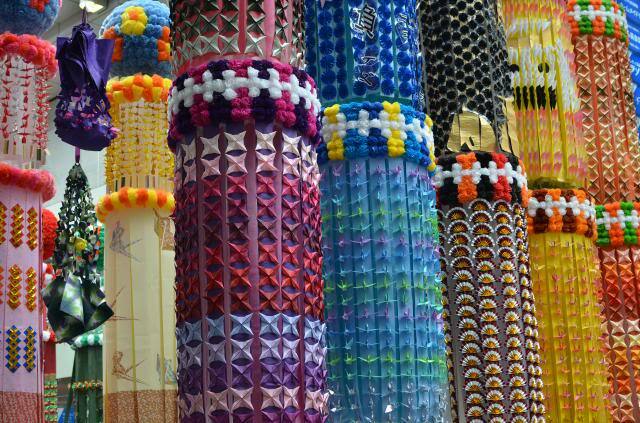 The final major festival of the Tohoku Region’s Sandai Matsuri is held in Sendai, Miyagi. If you missed it, I posted Aomori here. 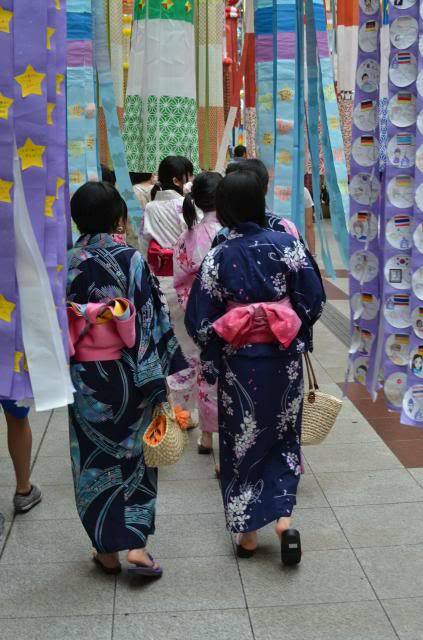 Tanabata is usually called the “Star Festival” in English, although it is also called “Seventh Night”. Usually in Japan it is celebrated in July, but Tohoku follows the lunar calendar and therefore celebrates Tanabata in August instead. 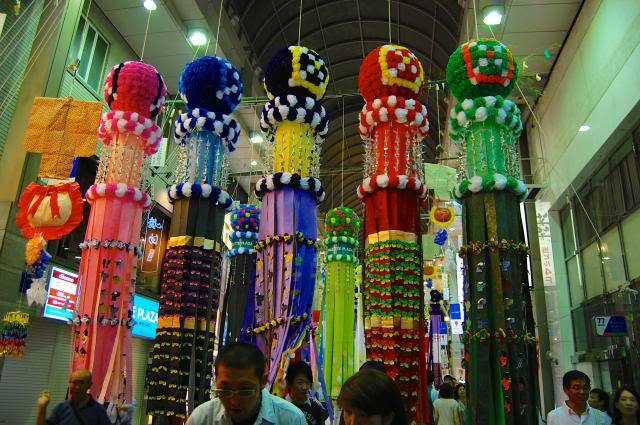 Actually, all three Sandai festivals are Tanabata celebrations, but Sendai’s is the most obvious. Tanabata celebrates the one day of the year where two lovers can meet across the milky way. 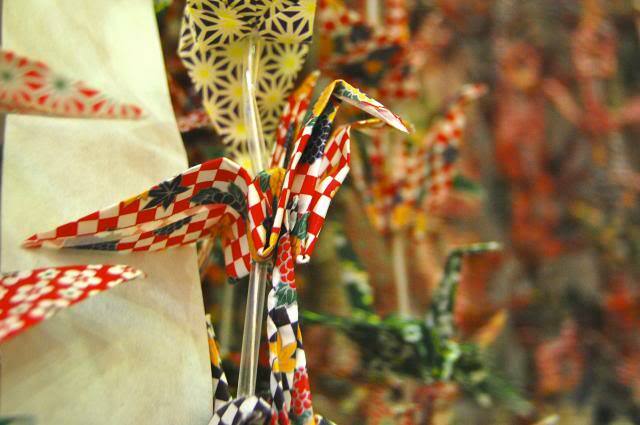 It is a fun and interesting event where people write wishes on strips of paper and tie them to bamboo. You can read more about it on wikipedia’s page here. 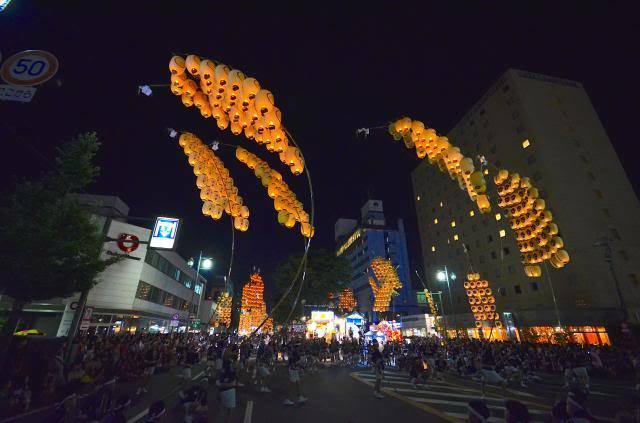 Sendai’s Tanabata festival is the grandest in Japan. Not only is the sheer number of decorations awe-inspiring (there are thousands throughout Sendai), but the level of detail for each is hard to imagine without seeing one in person. We went to this festival last, and I thought it would be boring compared to the others… there are no dances or parades or anything like that. But instead, I found that walking through the forest of decorations was calming. Seeing each individual decoration and in groups was really nice, especially up close. It ended up comparing to the other two despite my expectations! Walking through them was like walking through a colorful forest! And the level of detail is truly amazing for each. 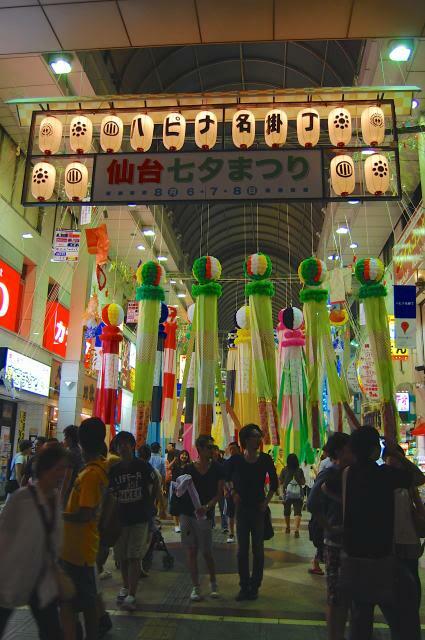 The Tanabata Matsuri is held August 6th to 8th in Sendai, Miyagi Prefecture. 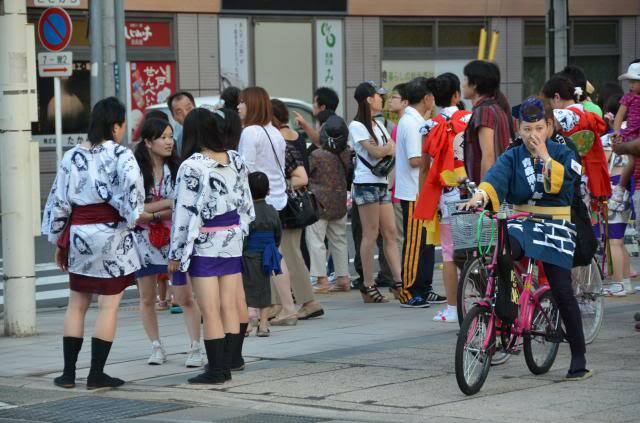 So those are the Tohoku Sandai Matsuri. There are other prefectural summer festivals also depicted on Gotochi cards from the Tohoku region, but I think this post is long enough! If you ever have a chance to see these amazing festivals, you will not regret it! 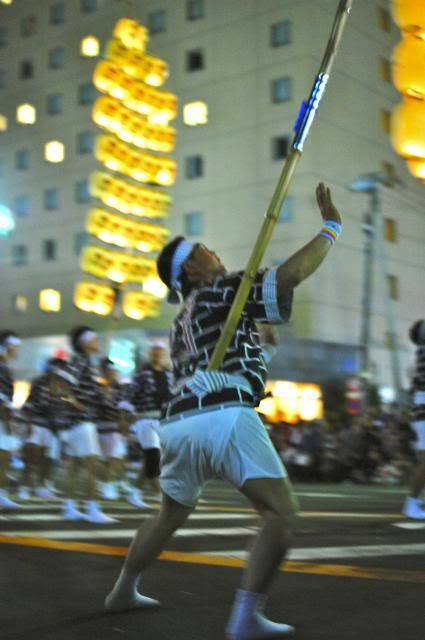 Next up in our exploration of the Tohoku Region’s Sandai Matsuri is Aomori. If you missed it, I already posted about Akita here. 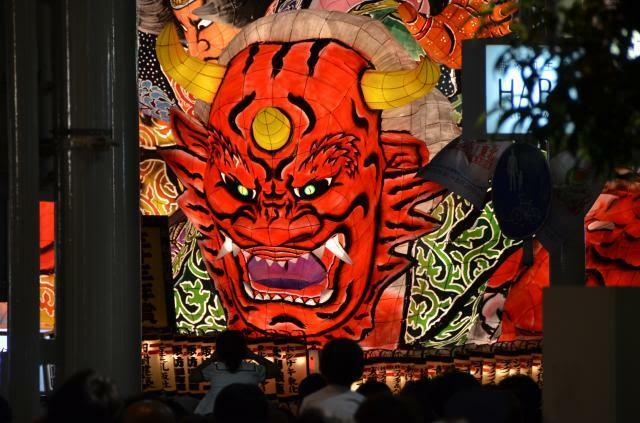 Aomori has two festivals of a similar name: Aomori City’s Nebuta festival, the most famous of the two, and the lesser known but still interesting Neputa Matsuri held in Hirosaki. Some people get Nebuta and Neputa mixed up, but while they are similar festivals, there are some differences. 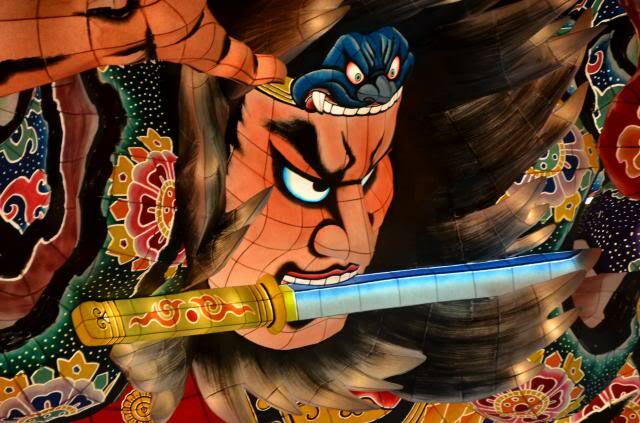 However I’m not here to talk about that; instead, let’s visit Aomori’s Nebuta Matsuri. This is a fun festival for two reasons. 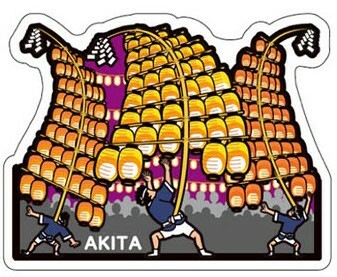 First, the giant floats that are amazing and creative 3D masterpieces usually of Japanese legends, folk tales, and gods. You could even see a float of the battle of Takeda Shingen and Uesugi Kenshin, which I talked about in this post. These floats are pulled by a large team of men, who go forward and back, up and down, with ease despite what these things must weigh! It is a delightful sight. The second reason is that anyone with a costume can join in. You can buy the costume all over Aomori leading up to, and even minutes before the festival. Then, just join a group! I didn’t participate this year (I was wearing yukata), but if I ever visit again, I’ll definitely pin a few dozen bells on my costume, and get in line! It looked really fun! Crowds of both spectators and participants spill into the streets before the festival, giving the city a joyful energy. The detail is truly breathtaking! 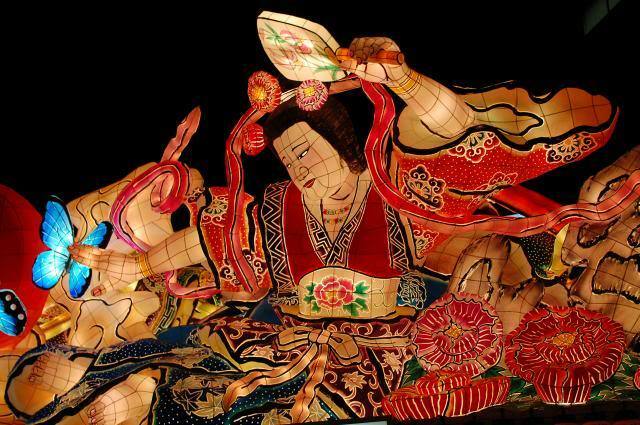 The Nebuta Matsuri is held August 2nd to 7th, in Aomori City, Aomori Prefecture. Next up is Miyagi’s Sendai Tanabata Matsuri. Next week is the beginning of August, and the start of some of the most amazing festivals I’ve ever had the pleasure of attending here in Japan: the three great festivals of the Tohoku region, collectively known as the “Tohoku Sandai Matsuri”. Three years ago, I took a road trip in August to see these three festivals, along with other sightseeing spots in the Tohoku region. It was an epic, unforgettable trip, and one I wish I could do again… this time with my postcards in tow! I did actually buy several on the trip, but I never thought to take pictures with them at that time. Ah, regret. Anyway, let me talk about each festival in turn. We’ll start with Akita! It’s really, really difficult to choose a favorite festival, but if you twist my arm I’ll say that the Kanto Matsuri was the most amazing I’ve ever seen. 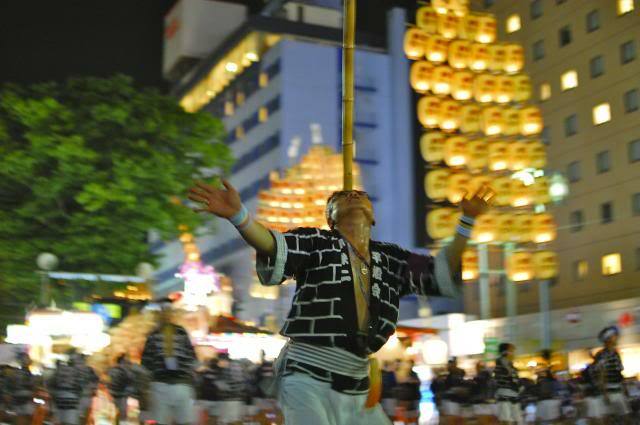 In this festival, men balance huge, heavy poles with lanterns on the end (called Kanto, hence the name) on their hands, heads, shoulders, or hips. These poles are VERY heavy, and yet every minute the man is able to balance, they add a longer and longer section to the end, to where the giant poles (which resemble heads of rice apparently, although they look like the sails of ships to me) tower and lean over the men and the crowd alike. 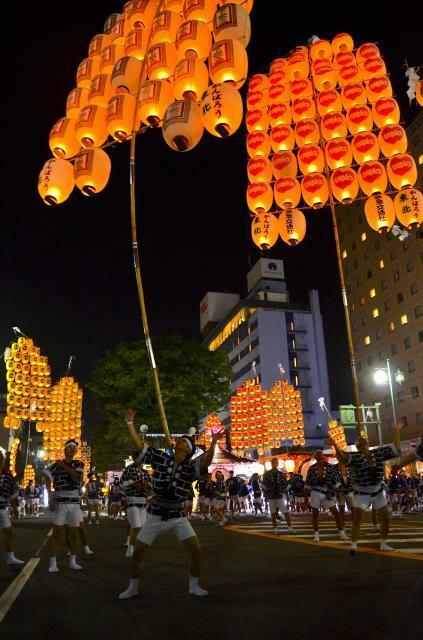 These lanterns are real, so if a pole is dropped, the lanterns must be re-lit one by one. It is a point of pride that the men don’t drop, although you can hear from the gasps of the crowd that it does happen. This festival gets you mentally invested in the men, cheering them on and commiserating a fall together. Even though the audience is only watching, you still feel a part of the festival directly, and the theatrics are the most challenging I’ve ever seen. The Kanto Matsuri has indeed earned its place as top three of Kanto! 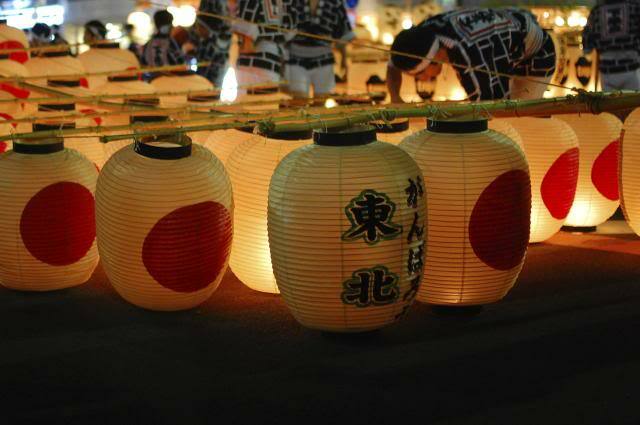 The Kanto Matsuri is held August 3rd to 6th in Akita City, Akita Prefecture. 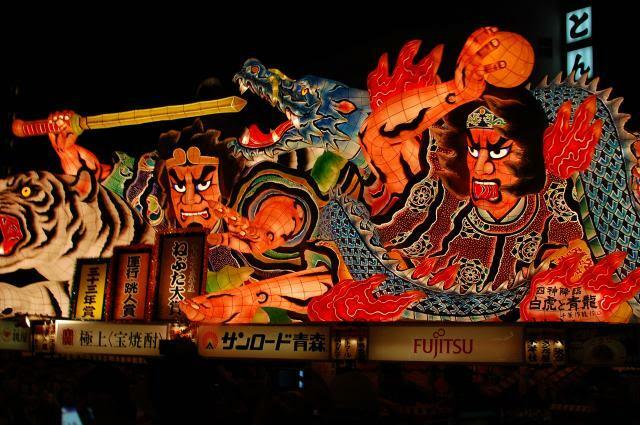 Next up is Aomori’s Nebuta Matsuri, so look for that post!